This is a partial preview. Full document is 133 pages. View large preview. 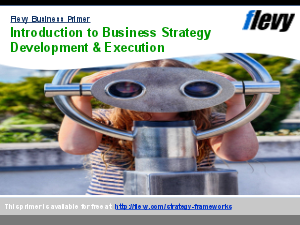 It is critical to build governance in to the execution of the Business and subsequently the IT Strategy. The objective of COBIT 5 is to help IT leaders provide a business view of the IT departments ability to create value and support enterprise goals through effective IT processes and build process capability and was developed by ISAACA to: - Develop process improvement, - Deliver value to the business, - Measure the achievement of current or projected business goals, - Benchmark and deliver consistent reporting, - Ensure organisational compliance. Yet most COBIT 5 practitioners find it difficult to demonstrate the business value of a COBIT 5 investment and more compliance in a setting where most Business Executives would claim an increased focus on the needs of the business. The COBIT 5 Unlocked (the missing pieces): Deliver Business Value with IT! series is a reply to ?How do we put the IT Strategy in place? and how do we communicate effectively with our stakeholders and provides a number of techniques and tools to understand how to meet stakeholder expectations where COBIT 5 can the be used to demonstrate how well this is done. COBIT 5 Unlocked (the missing pieces): Deliver Business Value with IT! ? How to build a CIO Office to deliver effective IT services and meet stakeholder expectations focus on this area. -	What is the Business?s strategy and plans? -	What is the current business model that IT has to support? -	Where could IT make a significant impact on the business? -	Are there any further opportunities to use IT? -	How can we leverage IT in a ?Time to Market?, ?Cost Effectiveness", ?Cycle Time? perspective? This product contains a supplemental PDF document.